Onex Corp. is a leading private equity firm with $31 billion of assets under management. It was founded in 1984 to make private equity investments in companies located primarily in North America. Today, Onex has raised five institutional private equity funds to invest in businesses domiciled in North America and Europe. Its ONCAP funds focus on investing in small and medium-sized businesses in North America. Its credit platform manages $10.3 billion in assets (as of December 31, 2018) which increased by 7% last year. Its private debt fund invests in debt of middle and upper middle-markets, and large private equity sponsor-owned portfolio companies, and corporate borrowers. Onex also started investing in real estate as of 2005. Onex practices value-oriented investing with a bottom-up, fundamental and structural analysis in its credit platform. The firm operates through two private equity platforms – Onex Partners and ONCAP private equity funds, and Onex Credit. About 60% of its AUM consists of private equity, and the rest is comprised of cash & near-cash items (23%), credit (11%) and real estates & other investments (6%). At present, Onex has eight reportable industry segments. It has offices in Toronto, New York, New Jersey and London. Onex invests in a diversified portfolio of credits in various sectors and parts of the capital structure and also owns a diverse portfolio of operating companies across a wide range of industry sectors. Through Onex Partners, the firm targets investment opportunities in the US, Canada and Europe that require $200 million or more of initial equity capital. ONCAP focuses on opportunities that require less than $200 million in the US and Canada. The firm also invests primarily in non-investment grade debt through ONEX Credit. It manages fund investor capital ($23.2. billion) on behalf of investors from around the world. These include public and private pension funds, sovereign wealth funds, banks, insurance companies and family offices. This helps the fund to generate a regular stream of annual management fees and provides the opportunity to share profits of the fund investors. Onex earns management fees on nearly $21 billion of assets under management. Onex’ current management fees total to $192 million, consisting of $142 million from private equity and $50 million from credit. Over the past six years, fee-generating capital under management has increased by 11% per year, which has exceeded the firm’s expectation of growing its fee-generating assets by 10% annually. 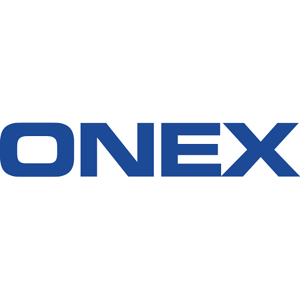 Onex focuses on acquiring and building high-quality businesses with strong free cash flow characteristics and invested approximately $2.3 billion in nine new businesses, last year. With 34 years of experience, Onex has developed strategic investment philosophies, talent, financial resources which have helped the company maintain a leading position in the industry. During 2018, $25 million was returned to shareholders through dividends. The firm last raised its dividend payout by 16.7% and sports an impressive dividend growth CAGR of 21% over the last five years. Onex pays quarterly dividends and also has a share buyback policy. Onex has been successful in generating higher returns than the broader private equity market consistently over the long term. Its credit platform focuses on generating strong risk-adjusted returns. Onex is targeting to grow its capital per share by 15% per year over the long-term. The firm has a good track record of solid performance with 28% annual returns on its private equity investments. The firm identifies businesses with strong capabilities and solid free cash flow characteristics. It has completed 630 acquisitions with a total value of $78 billion till date. Its financial strength comes from both its own capital as well as the committed capital from its fund investors. Onex Corp owns large global funds operating in multiple asset classes and provides best in class investor services. Moreover, real assets provide an attractive solution to institutional and retail investors. The private equity industry is worth trillions of dollars in value and Onex as a leading asset manager, should continue to benefit from this growth trend. Onex should keep increasing shareholder value with an experienced management team, significant financial resources, a strong base of loyal customers and no debt at the parent company. Onex Corp competes with other investment funds as well as with institutional and strategic investors. Brookfield Asset Management TSE:BAM.A, CI Financial Corp TSE:CIX, IGM Financial Inc TSE:IGM, Fiera Capital Corp., Fairfax India Holdings TSE:FFH are few of its competitors. Onex’ large scale capital provides it a huge competitive advantage over its peers. In addition, each business in which an Onex Fund invests in also faces inherent risks. As one of the oldest private equity firms, Onex Corp. has earned investor confidence and has grown rapidly with a disciplined approach to investing and a focus on capital preservation. Onex has substantial financial resources to support its investment strategy and is growing through considerable investments each year. Given the huge growth potential in the form of increasing capital per share and fee-generating assets, and a strong financial backing, Onex should continue its dividend growth streak in the future.